Maybe I'm generalizing too much, but I think all little girls go through a horse phase. My oldest was no exception. By the time Natalie turned five, it was all equestrian, all the time, at our house. So that year, we threw her a horse-themed birthday party. 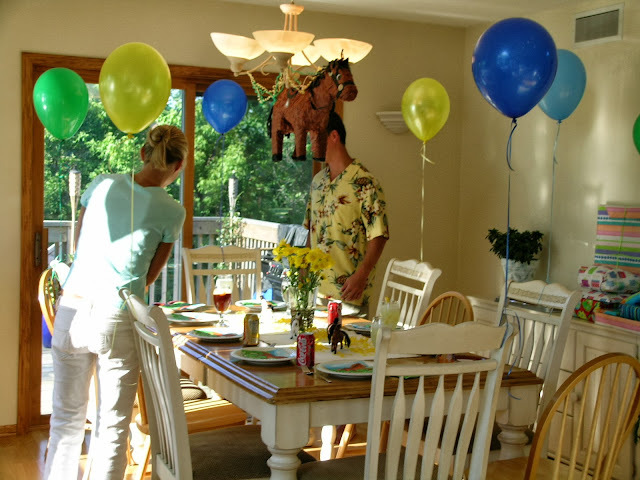 Pony party decor is surprisingly easy to find. We order paper products similar to these and based our color scheme on what was already found in the napkins. For us, that meant blue, green and yellow balloons and streamers. It made for a sunny, bright party. Do I even need to say that these photos were taken in the days before Instagram? So nothing is staged. This is real life, y'all. Look away if poorly composed pictures offend you. 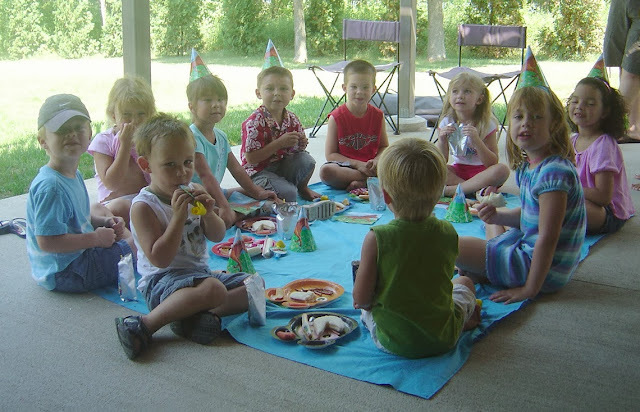 I invited Natalie's entire play group to this party, so we kept the games fairly simple. I printed horse coloring pictures to keep the kids occupied as guests arrived, and we planned a game of Pin the Tail on the Horse. Otherwise, the hope was that the gang would play outside for most of the time. 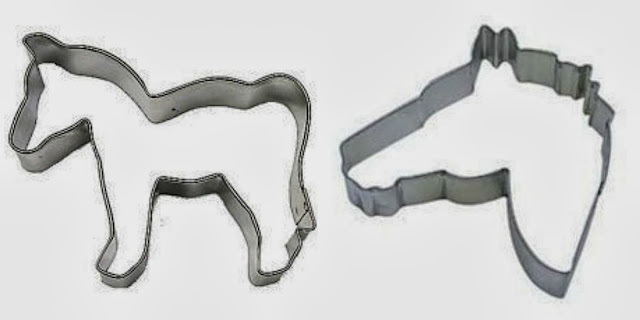 I was struggling to figure out what to serve when I came across these cookie cutters on eBay. We also had a family party for Natalie with the same theme. For that gathering, I made a full cake and decorated it with these easy instructions from Spoonful. 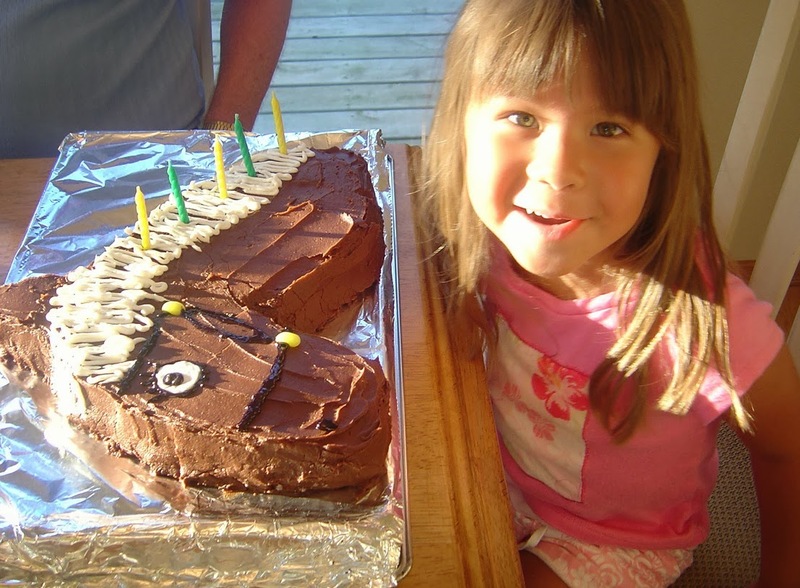 Thankfully, this cake turned out much better than the cow cake that wasn't. And you know what? For as simple as the theme was, it apparently stuck. Look at my girl now. So tell me: Do you have an opinion about goody bags? Do you think they are adorable favors to give to party guests or bags of crap that should be banned? I'd love to hear your thoughts and stories over on my Facebook page (or email me by using the envelope button on the far right, just above my profile picture). I'll incorporate them into an upcoming 31 Days of Birthdays post.